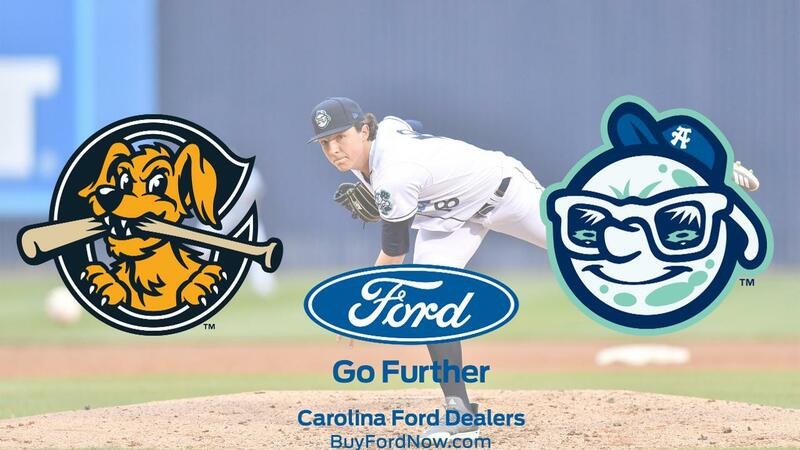 ASHEVILLE- The Asheville Tourists fell short in their bid to sweep the Charleston RiverDogs. The RiverDogs held on to defeat the Tourists 5-3. Asheville built an early lead but miscues and some tough Charleston pitching forced the Tourists to settle for a two games to one series win. In the loss, Willie MacIver homered for the third straight game. MacIver's Home Run to deep centerfield came in the eighth inning and served as the game's final run. Asheville plated their other two runs in the first when MacIver drove in Terrin Vavra and Grant Lavinge with single to center. Ryan Rolison made his second start of the season and battled through 3.2 innings. Rolison pitched his way out of some minor jams in the first two innings however some shaky defense cost the lefty in the third. Asheville committed three errors in the inning and Charleston plated three runs as a result. The RiverDogs added to their lead in the seventh with an RBI single and a sacrifice fly. Charleston's lone reliever, Shawn Semple, struck out 11 Tourists hitters over the final four innings. Asheville's Nick Kennedy and Eric Hepple combined to pitch 4.1 scoreless frames out of Asheville's bullpen. Vavra, Hunter Stovall , and Javier Guevara joined MacIver with two hits in the contest. The Tourists finished the game with a season-high five errors. Asheville completed their seven-game homestand with a 4-3 record and now embark on a seven-game road trip that begins Thursday night in Hagerstown. The first pitch is scheduled for 6:05pm.